Injuries in sports happen all the time. 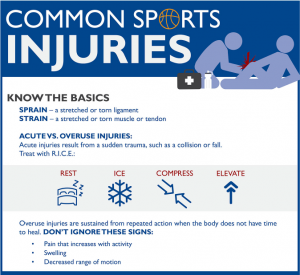 Understanding what kind of injuries, and why they occur can help minimize your risk. 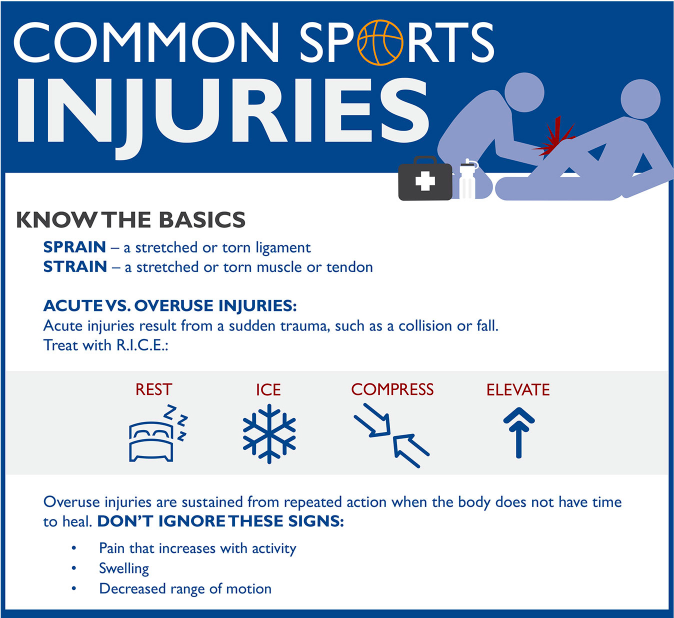 There are 2 types of injury; acute and overuse. An acute injury is usually related to trauma – a hard tackle in soccer, a bump or hit from another player, or just an unfortunate accident. These are hard to prevent but luckily they are also less common. Overuse injuries are far more common and usually involve a dysfunction in the body, bad technique or improper equipment. They usually start slowly and may begin with tightness or pulling only and overtime turn in to a repetitive strain or severe injury to your joints and muscles. A good example of an overuse injury is a rotator cuff injury. Muscles can be strained from overuse in sports like tennis or badminton, but they are far more likely to be overused and strained if they’re already under stress from bad posture and rounded shoulders from too much desk work. With the shoulders, spine and cuff cannot work efficiently and is closer to its straining point. To prevent sports injuries, firstly ensure you are using the correct equipment – including any protective equipment. Ensure you have good technique for your sport and avoid risky situations. Increase your training gradually over time, making sure to warm up and cool down before training and games. Best of all, schedule a pre-season check up with your chiropractor to check your posture and examine you for any unusual movement mechanics that may lead to an overuse injury. If you want to get the most out of your body and prevent injuries for your sport, speak with our chiropractors at Activelife Chiropractic today for more information and appointments.